Julia Louis-Dreyfus has been honored with the Mark Twain Prize for lifetime achievement in comedy. WASHINGTON (AP) — After a 35-year acting career and with two iconic television characters to her name — Elaine Benes of “Seinfeld” and foul-mouthed Vice-President Selina Meyer–Julia Louis-Dreyfus has been honored with the Mark Twain Prize for lifetime achievement in comedy. 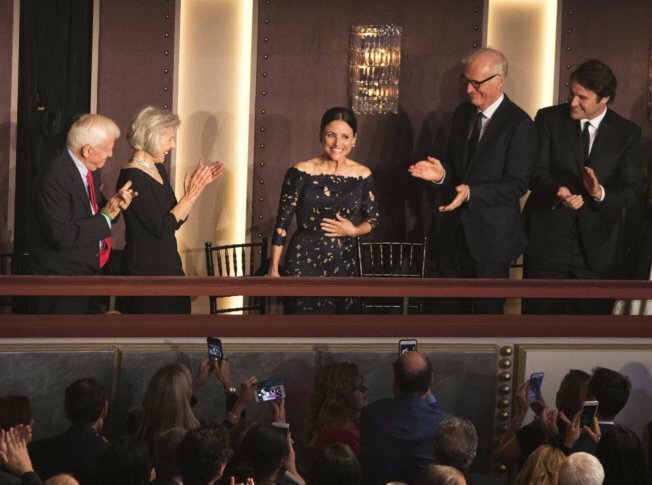 On Sunday night at Washington’s Kennedy Center, the 57-year-old actress received a stream of testimonials from celebrities including Jerry Seinfeld, Stephen Colbert and 2010 Mark Twain recipient Tina Fey–touching on the multiple aspects of her career.